Most of us are more likely to show up to a training session when we know we have training partners relying on our company. We become accountable to our training community which is a powerful motivator. Note: For insurance purposes, a valid ATA annual membership is required for all swim sessions. The emphasis here is on drill and technique work with plenty of recovery and tips on how to refine your individual stroke. You can expect feedback during this session on how to properly perform the drills and also receive tips on your stroke. If you want to improve your speed and pacing skills in distances greater than 400m, then this is the place for you. These sessions will simultaneously improve your technique and swim fitness by using Critical Swim Speed (CSS) training. We will do specific fitness testing to determine your personal CSS pace and re-test regularly to monitor your progress. With improved technique and swim fitness, you will find you can maintain good form for longer periods of time which results in swimming faster and more efficiently on race day. Tempo trainers are used during these sessions but are not required. These sessions are a great way to keep your technique tuned up while you focus on improving your endurance and are a great compliment to a weekly CSS development workout. They are a happy medium between the Pure Technique and the longer, harder “Red Mist” endurance sessions. You can expect some drill work, longer aerobic intervals, and feedback on your stroke during these sessions. Tempo trainers are used but are not required. The infamous Swim Smooth “Red Mist” session is the hardest and longest session of the week. Distance covered usually ranges between 4,000-5,000m. This 90-minute swim is the cornerstone of the Ironman and 70.3 crew given how good it is at preparing you for these distances. Can you hold off the “Red Mist” from descending on you when you’re not feeling your best? You can expect feedback during these sessions on how well you are sticking to your target pace and you will have an excited coach urging you on as you inevitably fatigue! Whether you are just getting into swimming or very experienced and looking to break records, you can’t underestimate the benefit of learning proper technique. These sessions with Coach Mary are ideal if you have unanswered questions about why you might have plateaued in your swim performance or if what you are doing in your swim training sessions is the most effective way for you to improve. These video analysis sessions can also help identify if your stroke is contributing to any niggles which could lead to injury down the road. These power based classes are all created by Trev Williams of The Doctrine and led by Trev Williams and Laura Connolly in The Revolution Studio inside the JCC. These classes provide a great opportunity to work on your cycling in an environment that is more educational, fun and social than your basement! The winter session will run from January 7 – April 29, 2019 and will include some fitness testing to establish your Functional Threshold Power (FTP). You are required to bring your bike. Computrainers are provided. This group meets on the indoor MRU track. Emphasis is on interval speed work but everyone runs at their own pace so these workouts are all ability. There is a solid 15 minute warm-up, 30-45 minute main-set and 5-10 minute cool down. The coach will provide pace feedback and motivation as you get in your speed work for the week in a social environment. The fall track group will run from January 10 – April 25, 2019. This workout can stand alone or be combined with the 7:00-8:00 pm swim to form a two-hour swim/run brick. Amanda Regnier will be running the LYNX MRU evening track sessions this fall! Amanda was a 4 year U of S Cross Country/ Track athlete and spent two seasons coaching the U of S Triathlon Club (track and swimming). She is also a NCCP Triathlon Coach and has a BSc in Kinesiology and MSc in Strength and Conditioning. We are looking forward to having Amanda on board this fall and getting fitter and faster on the track under her direction. Customized coached training plans offer a safe progression of training load and incorporate essential recovery days to maximize training effect. 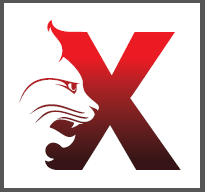 Workouts are delivered weekly in a calendar within an online platform and are tracked in a training log that is monitored by a LYNX coach. Athletes can upload data, offer feedback, and ask questions in their log and a LYNX coach will answer questions, monitor progress, and keep the athlete accountable.